HostGator is one of the best web hosting companies. But a lot of people can’t buy hosting from HostGator because of not having a Paypal account or Credit Card. You might be in the same situation if you are from one of the Paypal unsupported countries with no international credit card. So what’s the solution for you? The solution is Payoneer. Payoneer is a service that allows you to pay, send money, and accept payments. It supports more than 200 countries. It offers a free MasterCard which can be used in online shopping. The good news is, you can buy domain and web hosting from HostGator using Payoneer MasterCard. In this post, I will show you how to buy HostGator hosting via Payoneer MasterCard. Follow these simple steps to buy hosting from HostGator using Payoneer card. At first, go to HostGator.com . And click on “Get Started Now” button. On the next page, you need to choose a plan. 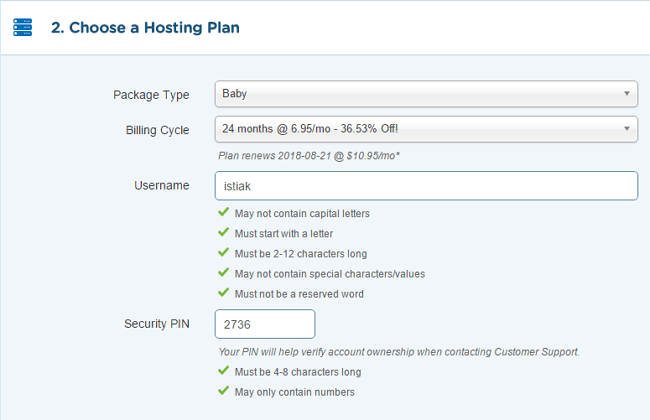 HostGator offers 3 plans on its shared hosting – Hatchling Plan, Baby Plan, and Business Plan. The basic difference between Hatchling Plan and Baby Plan is that you can host unlimited domains on Baby Plan whereas you can host only one domain on Hatchling Plan. Business Plan is designed for business/service orient sites. It offers Private SSL & IP, Free VoIP and Free email marketing service. Baby Plan is the most popular plan. Once you’ve chosen the plan, click on “Sign Up Now” button. Then you will be landed to HostGator Order Form page. You need to follow 6 steps on this page. The first step is, choose a domain. Here you will get two options. Register a New Domain: Select this if you want to buy a domain from HostGator. I Already Own This Domain Name: Select this if you have a domain name that you want to host on HostGator. For the sake of this tutorial, I assume that you are going to buy a domain name from HostGator. Select “Register a New Domain” tab and enter your desired domain name. If the domain name is available, it will be added automatically as primary domain. Now scroll a little bit. You will notice Domain Privacy Protection. It’s a service that hides your personal information like email, mailing address, phone number, etc from public view. This service costs $12.95 per year. If you want to hide your personal information from the public, take this service. Otherwise, just uncheck the box. The next step is, confirming the hosting plan. Package Type: Reconfirm your hosting plan here. Billing Cycle: HostGator offers several billing cycles. You can buy hosting on a monthly or yearly basis. I prefer yearly basis cause it allows you to get more discounts. You won’t get any discount on renewal. Security PIN: Enter a 4-8 digits PIN number. On the next step, you need to enter your billing information. Enter your email, name, address, etc on the right side. Now you have to give your Payoneer MasterCard information on the left side. Payment Type: Select ‘Credit Card’. Name On Card: Your name on the front of the card. Credit Card Number: 16 digits number on the front of the card. CVV Code: 3 digits number on the back of the card. Then you will be asked to buy additional services from HostGator. All of these services are premium. That means it will cost you extra money if you buy the services. If you don’t want to buy these additional services, uncheck the boxes. Now you need to enter a coupon code to get discounts. 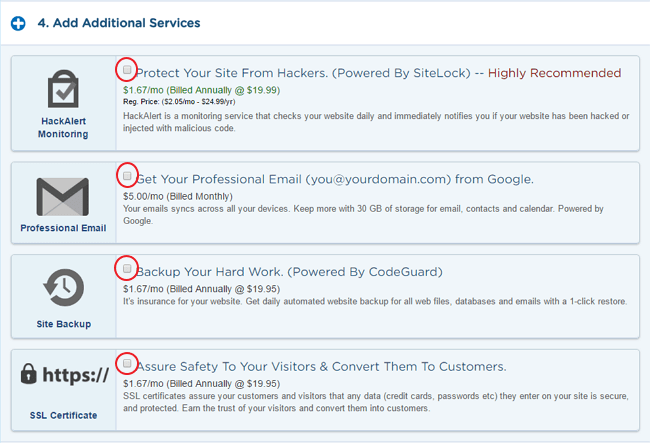 If you are going to buy hosting for 6 months or longer period, don’t change the existing coupon. It offers the best discount. However, if you are going to buy hosting for 1 month, use the coupon code HL1CENTHOSTING to get first month hosting only for one cent. The last step is to check the order details and agree to the terms and policy. 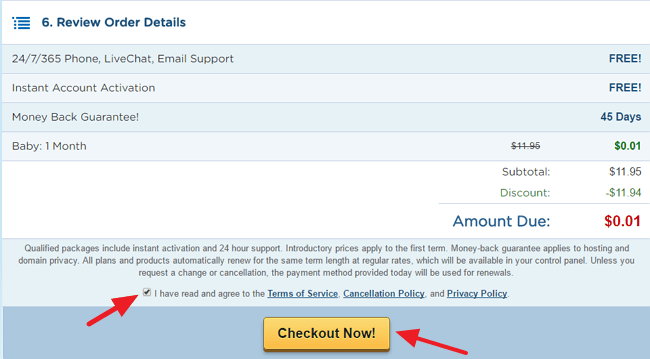 If everything is OK, click on “Checkout Now” button. That’s it. You are done. HostGator sends login details to your email. Go to your email and login to HostGator cPanel. Hope you have successfully bought HostGator web hosting using your Payoneer MasterCard. If you have faced any issues while buying the host, let us know via comment. We will try our best to fix the issue. So why you’re not hosting this website on Hostgator?